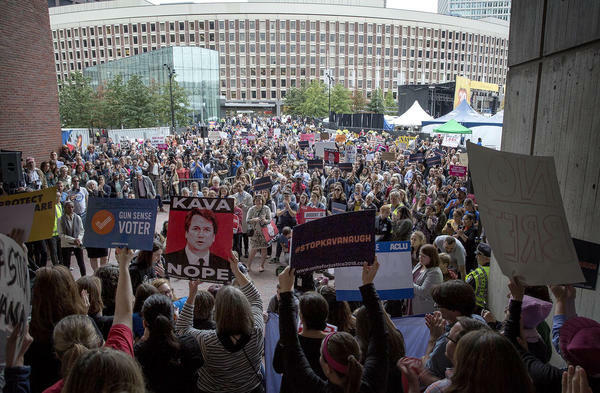 Hundreds of protesters turned out at Boston City Hall Plaza Monday to rally against the confirmation of Judge Brett Kavanaugh to the U.S. Supreme Court. The protest was timed to coincide with the appearance of Arizona U.S. Sen. Jeff Flake, a Republican, in Boston Monday. He spoke at a Forbes event outside City Hall. Flake voted last week in favor of Kavanaugh’s confirmation in the Senate Judiciary Committee, but also requested a brief FBI inquiry into allegations of sexual misconduct against the court nominee. 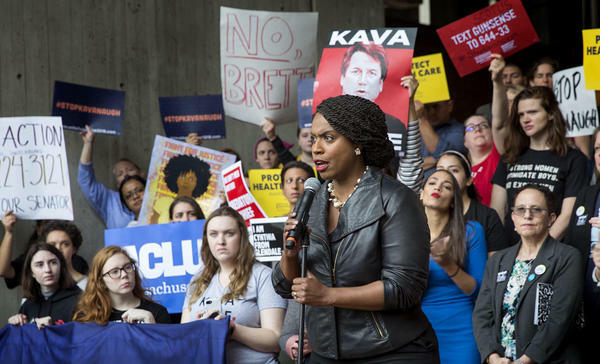 U.S. Sen. Ed Markey, Boston Mayor Marty Walsh, and Ayanna Pressley, the presumptive next member of Congress from the 7th Congressional District, all spoke at the rally on Monday. Pressley discussed last week’s Senate panel hearings, during which Kavanaugh and one of his accusers, Christine Blasey Ford, testified in a widely watched and emotional hearing. Pressley told the crowd that responses to the hearings represent a culture of complicity when it comes to sexual violence. 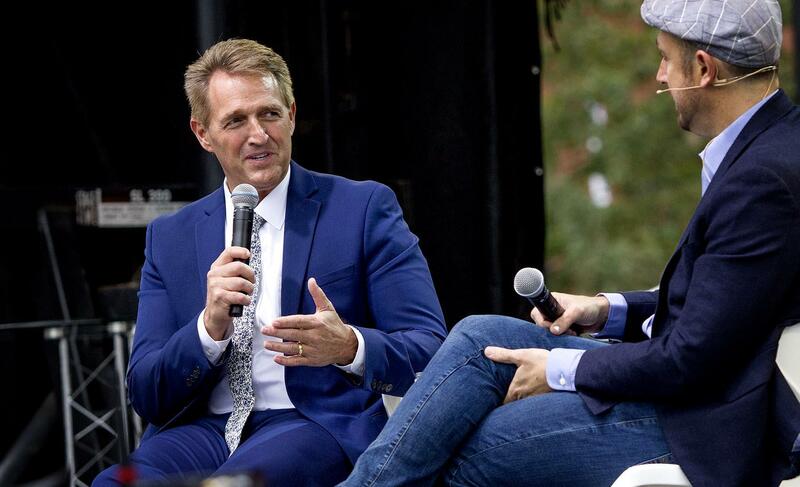 Sen. Flake said Monday he doesn’t want silence, he wants answers. He said that’s why he called for an FBI investigation before the Senate takes its final vote on the judge. President Trump acceded to Flake’s request, ordering the FBI to conduct a limited “supplemental investigation” into his Supreme Court nominee. 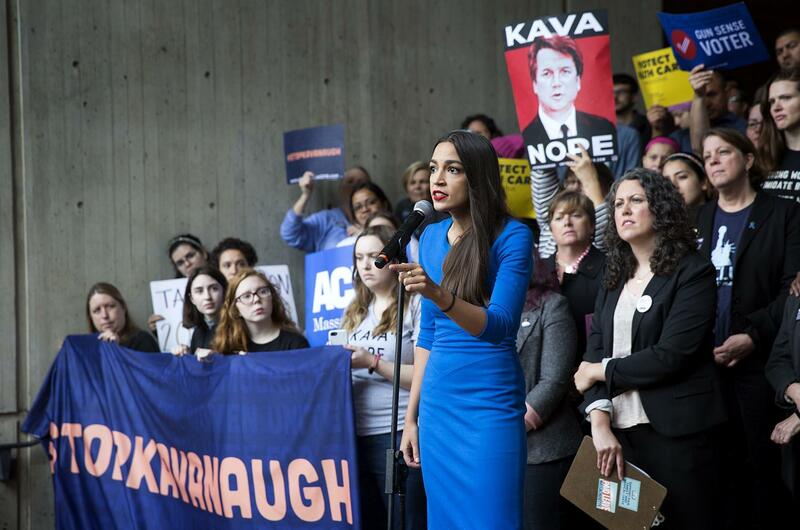 Alexandria Ocasio-Cortez, who defeated New York Rep. Joe Crowley, a Democrat, in a major primary upset this year, also addressed the crowd, delivering a warning to elected officials. 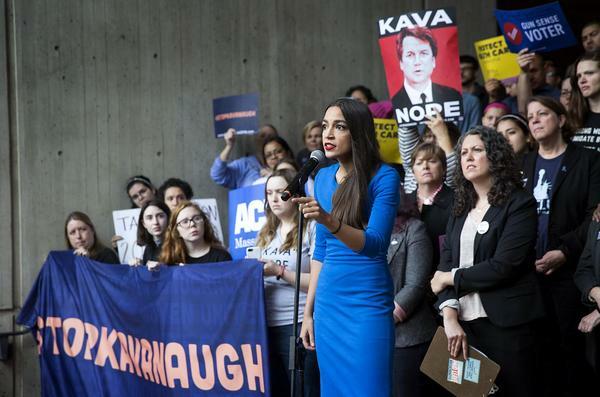 “We are gonna say that if you are gonna continue your career aiding, abetting, covering and being complicit in sexual assault, we will end your career by electing survivors to office,” she said. 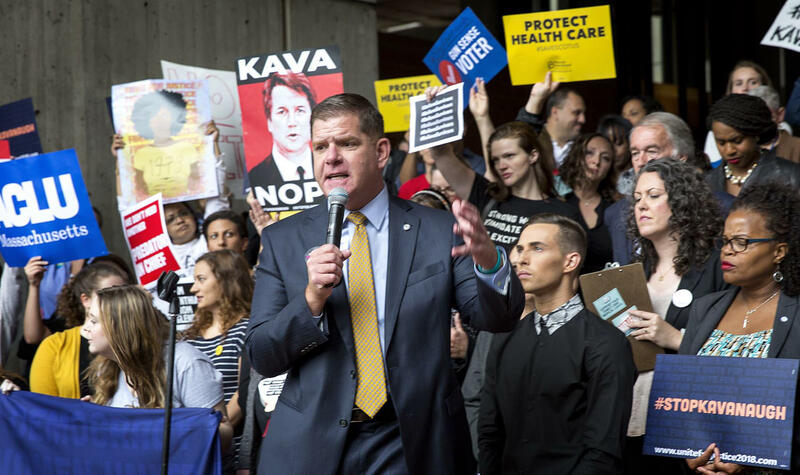 Walsh, too, said he supported the protesters. 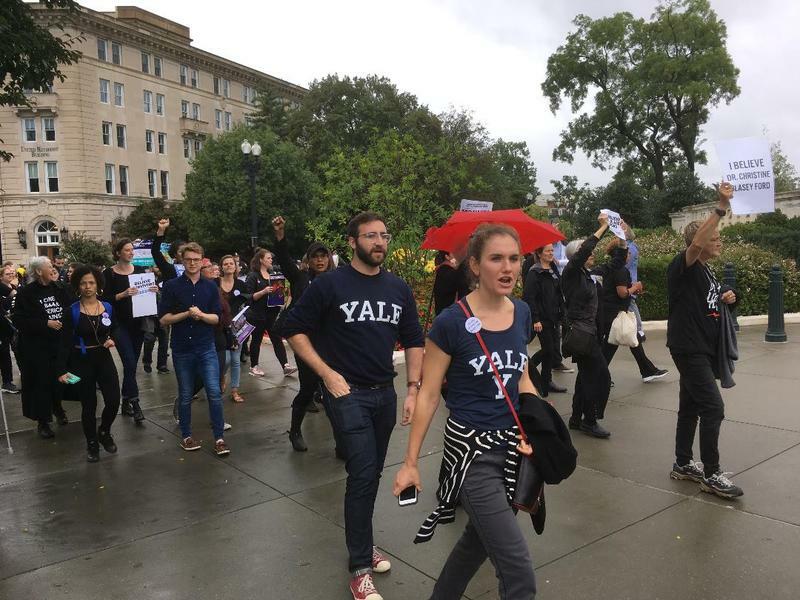 “The people that are here today are passionate, there are a lot of survivors [of sexual abuse] here, and it’s important for us to let the survivors know that we stand with them, in their difficult times in their life where they felt no one stood with them, we need to stand with them today,” he said. Markey, a Democrat, had said he would vote against Kavanaugh’s confirmation before the allegations of sexual misconduct came to light. Jamaica Plain resident Gabi Morgan, a transgender woman and survivor of assault, also attended the rally. 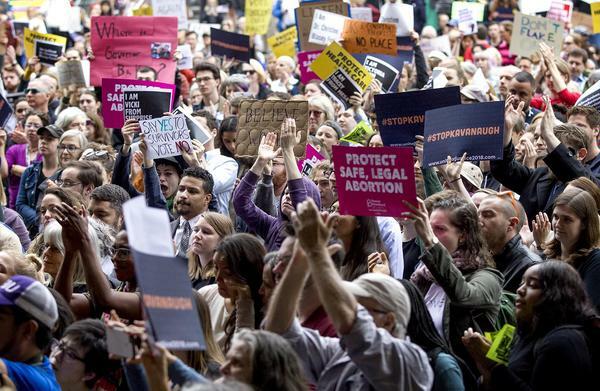 A vote by the full Senate could happen as early as this week.